Scott Moeller is the Director of the M&A Research Centre (http://www.cass.city.ac.uk/research-and-faculty/centres/marc) at Cass Business School and the former CEO and Director of Executive Education. He also teaches Mergers & Acquisitions in the MBA and MSc programmes and has also taught 'Business Intelligence and Social Networking' in the MBA programme and 'Corporate Finance' in the executive education programmes. He has also been a visiting lecturer at Imperial College (London) and Oxford University, and has been an accredited executive coach. Scott is a frequent commentator on business issues on television (BBC, CNN, Bloomberg, CNBC) and in the press (Financial Times, Sunday Times, Independent) and has written for the Wall Street Journal, the BBC and other publications. One of his books received an award in the United States as one of the top 30 business books of the year in 2008. 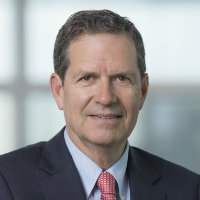 During his six years at Deutsche Bank, Scott was Global Head of the bank’s corporate venture capital unit, Managing Director of the Investment Bank's Global eBusiness Division and Managing Director of the department responsible for world-wide strategy and new business acquisitions. Scott worked first at Booz Allen & Hamilton Management Consultants for over 5 years and then at Morgan Stanley for over 12 years in New York, Japan, and most then as co-manager and then member of the board of Morgan Stanley Bank AG in Germany. Scott has held a number of other board seats throughout Europe, Africa, Asia and the Americas and is currently a non-executive director on several boards. Faelten, A., Driessen, M. and Moeller, S. (2016). Why Deals Fail and How to Rescue Them M&A lessons for business success. Profile Books. ISBN 978-1-78283-160-0. Moeller, S. and Brady, C. (2014). Intelligent M&A: Navigating the Mergers and Acquisitions Minefield. Chichester, UK: John Wiley and Sons, Ltd. ISBN 978-1-118-76423-7. Moeller, S. (Ed. ), (2014). The M&A Collection: Themes in Best Practice. London, UK: Bloomsbury Information Ltd. ISBN 978-1-4729-1668-6. Moeller, S. (Ed. ), (2012). Finance Essentials The Practitioners’ Guide. London, UK: Bloomsubry Information Ltd. ISBN 978-1-84930-040-7. Moeller, S.D. (2009). Surviving M&A: Make the Most of Your Company Being Acquired. Chichester: Wiley. ISBN 978-0-470-77938-5. Moeller, S.D. (2006). Case Studies in Mergers & Acquisitions. Harlow, UK: Pearson. ISBN 978-1-84658-663-7. Moeller, S. (2014). Coping with Equity Market Reactions to M&A Transactions. In Moeller, S. (Ed. ), The M&A Collection: Themes in Best Practice (pp. 129–135). London, UK: Bloomsbury Information Ltd. ISBN 978-1-4729-1668-6. Moeller, S. and Carapeto, M. (2012). Acquiring Distressed and Bankrupt Concerns. In Faulkner, D., Teerikangas, S. and Joseph, R. (Eds. ), Handbook of Mergers & Acquisitions Oxford University Press. ISBN 978-0-19-960146-2. Moeller, S. (2012). Coping with Equity Market Reactions to M&A Transactions. In Moeller, S. (Ed. ), Finance Essentials: The Practitioners' Guide (pp. 213–216). London, UK: Bloomsbury Information Ltd. ISBN 978-1-84930-040-7. Moeller, S. (2012). Due Diligence Requirements in Financial Transactions. In Moeller, S. (Ed. ), Finance Essentials: The Practitioners' Guide (pp. 216–220). London, UK: Bloomsbury Information Ltd. ISBN 978-1-84930-040-7. Moeller, S. (2012). Due Diligence Requirements in Financial Transactions. In Moeller, S. (Ed. ), The M&A Collection: Themes in Best Practice (pp. 137–145). London, UK: Bloomsbury Information Ltd. ISBN 978-1-4729-1668-6. Moeller, S. (2011). Unit 12: Mergers & Acquisitions. Market Leader (Upper Intermediate Scope and Sequence) (pp. 112–119). Harlow, Essex: Pearson Longman. Moeller, S. (2011). Mergers & Acquisitions. Market Leader Pearson Longman. Carapeto, M., Moeller, S., Faelten, A., Vitkova, V. and Bortolotto, L. (2010). Distress resolution strategies in the banking sector: Implications for global financial crises. In Kim, S. and Mckenzie, M.D. (Eds. ), International Banking in the New Era: Post-Crisis Challenges and Opportunities, 2010 (pp. 335–360). Emerald Group Publishing Limited. Moeller, S. (2010). Santander is coming to town – the acquisition of Abbey National by Grupo Santander. In Thomson, N. and Baden-Fuller, C. (Eds. ), Basic Strategy in Context: European text and cases Wiley-Blackwell. ISBN 978-1-4051-6108-4. Moeller, S. (2009). Coping with Equity Market Reactions to M&A Transactions. QFinance: The Ultimate Resource (pp. 664–666). London, UK: Bloomsbury Information Ltd. ISBN 978-1-84930-005-6. Moeller, S. (2009). Due Diligence Requirements in Financial Transactions. QFinance: The Ultimate Resource (pp. 670–672). London, UK: Bloomsbury Information Ltd. ISBN 978-1-84930-005-6. Schifferes, S.A. and Moeller, S. (2016). Mergers and Acquisitions Journalism Panel. Mergers and Acquistions: Journalism Panel 11 May, Cass Business School London. Moeller, S. (2012). The Global Outlook for M&A in 2012. Dubai Capital Club Lecture Dubai, United Arab Emirates. Carapeto, M., Moeller, S., Acosta, M. and Faelten, A. (2011). Why protect financial markets? Financial Management Association International (FMA) Denver, USA. Moeller, S. (2011). Foreign Ownership & Investment: Friend or Foe for British Business. Editorial Intelligence Breakfast London, UK. Moeller, S. (2011). M&A in Financial Services. HeadLand Plus One Breakfast London, UK. Moeller, S. (2011). Mergers and Acquisitions. Foundation Trust Network NHS Confederation Finance Directors Network London, UK. Moeller, S. (2011). Mergers and Acquisitions: Triumphs, Missteps and Breakthroughs in the Financial Services Industry. SimCorp Dimension International User Community Meeting 2011 Executive Masterclass Stockholm, Sweden. Moeller, S. (2011). The Importance of Ongoing Financial Education in the Light of the Credit Crunch. QFinance Second Edition Reception London, UK. Moeller, S. (2011). Topics in new research on deal drivers and deal success. Ernst & Young Corporate Development Leadership Network Amsterdam, The Netherlands. Carapeto, M., Moeller, A.F., Moeller, S. and Faelten, A. (2010). What should I do next? CEO succession, M&A deals, and company performance. Academy of International Business (AIB) Rio de Janeiro, Brazil. Carapeto, M., Moeller, S. and Faelten, A. (2010). What should I do next? CEO succession, M&A deals, and company performance. European Academy of Management (EURAM) Rome, Italy. Carapeto, M., Moeller, S. and Faelten, A. (2010). What should I do next? CEO succession, M&A deals, and company performance. European Financial Management Association (EFMA) Aarhus, Denmark. Moeller, S. (2010). Mergers, Acquisitions and Corporate Restructuring in Uncertain Times. Association of MBAs MBA Refresher London, UK. Moeller, S. (2010). The Seven Deadly Sins of M&A. London School of Economics Students� Union Finance Society London, UK. Moeller, S. (2010). Transformative Deals. Ernst & Young European Corporate Development Leadership Network Paris, France. Moeller, S. (2010). Why Change? Drivers to Consolidation amongst Professional Service Firms. Royal Bank of Scotland Professionals Conference London, UK. Moeller, S. and Zhu, L. (2016). An Analysis of Short-Term Performance of UK Cross-Border Mergers and Acquisitions by Chinese Listed Companies. SSRN. Moeller, S., Faelten, A. and Singh, J. (2014). Tell It Like It Is: Success and the Quality of M&A Deal Announcements. SSRN. Carapeto, M., Moeller, S., Faelten, A. and Smolikova, A. M&A Maturity Index: Evidence from Seven Emerging Markets. Elsevier BV. Carapeto, M., Moeller, S., Faelten, A. and Smolikova, A. Assessing Market Attractiveness for Mergers and Acquisitions: The MARC M&A Maturity Index. Elsevier BV. Appadu, N., Faelten, A., Moeller, S. and Vitkova, V. (2016). Assessing market attractiveness for mergers and acquisitions: the M&A Attractiveness Index Score. European Journal of Finance, 22(8-9), pp. 732–755. doi:10.1080/1351847X.2014.888362 . Moeller, S. and Brady, C. (2015). Successful M&A through Business Intelligence. Intercontinental Finance, 15(129), pp. 16–17. Moeller, S., Faelten, A. and Whitchelo, P. (2014). Which M&A activities drive the most shareholder value? Transaction Advisors, 3(1), pp. 6–6. Moeller, S. and Brady, C. (2014). It's smart to have intelligence in M&A. The European Financial Review, 2014(April - May), pp. 46–50. Moeller, S. and Brady, C. (2014). Different types of mergers and acquisitions. The European Financial Review, 2014(February - March), pp. 19–21. Moeller, S. (2014). Moeller's Corner: What makes a good leader in M&A. EY Capital Insights, 2014(Q2). Moeller, S. (2014). Moeller's Corner: Emerging market hotspots. EY Capital Insights, 2014(Q4). Moeller, S. and Whitchelo, P. (2013). Pre-announcement M&A activity and its effect on M&A outcomes. Transaction Advisors, 2(3), pp. 14–14. Moeller, S. (2013). Moeller's Corner: Deal or no deal. EY Capital Insights, 2013(Q3). Moeller, S. (2013). Moeller's Corner: Sale of the century. EY Capital Insights, 2013(Q4). Moeller, S. (2013). Moeller's Corner: Build, buy and beyond. EY Capital Insights, 2013(Q1). Moeller, S. (2012). Moeller's Corner: Dive then thrive. EY Capital Insights, 2012(Q2). Moeller, S. (2012). Moeller's Corner: Listen and learn',, Q3 2012. EY Capital Insights, 2012(Q3). Moeller, S. (2012). Moeller's Corner: A fine romance. EY Capital Insights, 2012(Q1). Carapeto, M., Moeller, S., Faelten, A., Vitkova, V. and Bortolotto, L. (2011). Distress classification measures in the banking sector. Risk Governance and Control: Financial Markets and Institutions, 1(4), pp. 19–30. doi:10.22495/rgcv1i4art2 . Moeller, S. and Balsyte, R. (2011). Why Do an M&A Deal? Behavioural finance explanations on why managers pursue large acquisitions or mergers. Die IfM-IMPULSE, 5, pp. 4–17. Moeller, S. (2011). Moeller's Corner: M&A is still alive. EY Capital Insights, 2011(Q4). Moeller, S., Faelten, A. and Ajayi, D. (2015). Seeking Growth: A Case Study of Diageo Plc’s Growth Strategy in Emerging Markets. Case Centre. Moeller, S. and Hawkes, K. (2014). Together We Lead The Way: Action for Blind People joins The Royal National Institute of Blind People. The Case Centre (European Case Clearing House). Moeller, S. (2010). Quaker Oats: Acquisition of Snapple. Bedfordshire, UK: The Case Centre (European Case Clearing House). Moeller, S. and Ritson, A. (2010). The Cadbury Defence. Bedfordshire, UK: The Case Centre (European Case Clearing House). Moeller, S. and Taplin, S. (2009). HMV's Battle for the High Street (B): Monopoly Issues in HMV's Acquisition of Ottakar's. Bedfordshire, UK: European Case Clearing House. Moeller, S. (2009). 'The Best Financial-Services Transaction Ever' (A): Designing the Merger of The Bank of New York and Mellon Financial. Bedfordshire, UK: European Case Clearing House,. Moeller, S. (2009). 'The Best Financial-Services Transaction Ever' (B): The Integration of The Bank of New York and Mellon Financial. Bedfordshire, UK: European Case Clearing House. Moeller, S. and Taplin, S. (2008). HMV's Battle for the High Street (A): The Creation of HMV Group. Bedfordshire, UK: European Case Clearing House. Moeller, S. and Dellamano, R. (2007). Investing in People at Trust & Depositary Services, Bank of New York. Bedfordshire, UK: European Case Clearing House. Moeller, S. and Prodan, M. (2007). The Battle for Marks & Spencer: Sir Philip Green's Unsuccessful Takeover Attempt. Bedfordshire, UK: European Case Clearing House. Moeller, S. and Osayimwese, O. (2007). 'The Manchester United Buccaneers? ': Malcolm Glazer's Acquisition of Manchester United. Bedfordshire, UK: European Case Clearing House. Moeller, S. and Dellamano, R. (2005). Bear Hug: An M&A Battle. Bedfordshire, UK: European Case Clearing House. Moeller, S. and Odumodu, R. (2005). Deutsche Bank (A): The Strategy and Integration behind Deutsche Bank's Acquisition of Bankers Trust. Bedfordshire, UK: European Case Clearing House. Moeller, S. and Odumodu, R. (2005). Deutsche Bank (B): Financing Deutsche Bank's Acquisition of Bankers Trust. Bedfordshire, UK: European Case Clearing House. Moeller, S. and Syed, F. (2005). Deutsche Borse and London Stock Exchange: The Downfall of the Friendly Raider. Bedfordshire, UK: European Case Clearing House. Moeller, S. and O'Connor, C. (2005). Digital Gambling in the UK: Assessing Technology, Market Entry and Social Risks. Bedfordshire, UK: European Case Clearing House. Moeller, S. and Wells, T. (2005). Santander is Coming to Town: The Acquisition of Abbey National by Grupo Santander. Bedfordshire, UK: European Case Clearing House. Moeller, S. and Wells, T. (2005). Abbey National: From Building Society to Acquisition Target. Bedfordshire, UK: European Case Clearing House. Moeller, S. and dellamano, R. (2005). Bear Hug (A) - The Target: D&A Biopharmaceuticals. Bedfordshire, UK: European Case Clearing House. Moeller, S. and Dellamano, R. (2005). Bear Hug (B) - The Bidder: King Capital Partners. Bedfordshire, UK. Moeller, S. and Dellamano, R. (2005). Bear Hug (C) - The Trade Buyer: Pharmatech. Bedfordshire, UK. Moeller, S. and Dellamano, R. (2005). Bear Hug (D) - The Financial Buyer: Billings Investment Group (BIG). Bedfordshire, UK: European Case Clearing House. Moeller, S. and Appadu, N. (2018). M&A Attractiveness Index 2017. M&A Research Centre, Cass Business School, City, University of London: (MARC Working Paper Series 2018). Moeller, S. and Skourikhine, S. (2018). M&A Attractiveness Index 2017: Russia: Count the Roubles Not the Politics. M&A Research Centre, City, University of London: (MARC Working Paper Series 2018). Moeller, S. and Appadu, N. (2017). M&A Attractiveness Index 2016. M&A Research Centre, Cass Business School, City, University of London. Moeller, S., Appadu, N. and Sudarsanam, S. (2017). Pensions: Now something more to worry about (for dealmakers). London, UK: M&A Research Centre, Cass Business School; City, University of London. Moeller, S., Vitkova, V. and Sudarsanam, S. (2017). 'Hedge Funds: Stock Pickers or Managers? London, UK: M&A Research Centre, Cass Business School, City, University of London. Tian, S. and Moeller, S. (2017). You can make the jump, but can you stick the landing? Private equity goes international. M&A Research Centre, Cass Business School, City, University of London: (MARC Working Paper Series 2017). Moeller, S., Vitkova, V., Xie, F., Tian, S. and Abou Meri, A. (2017). Megatrends: New and Emerging Drivers of Deal Activity. M&A Research Centre, Cass Business School, City, University of London: (MARC Working Paper Series 2017). Moeller, S. and Lawson, J. (2016). For the Buck or for the Future. London, UK: M&A Research Centre, Cass Business School, City, University of London. Moeller, S., King, D. and Ahmed, A. (2016). Let's Keep this Private: The Growing Weight of Evidence Behind Improving M&A Returns. London, UK: M&A Research Centre, Cass Business School; City, University of London. Moeller, S., Appadu, N. and Kallum, M. (2016). Deal closure is the starting point not the end point. London, UK: M&A Research Centre, Cass Business School, City, University of London. Moeller, S., Vitkova, V. and Gonzalez Sadornil, J. (2016). There will be blood: The Price of Oil and what it means for M&A. London, UK: M&A Research Centre, Cass Business School, City, University of London. Moeller, S. and Appadu, N. (2016). M&A Attractiveness Index 2015. London, UK: M&A Research Centre, Cass Business School; City, University of London. Moeller, S., Vitkova, V., Markey, D. and Novikova, A. (2015). The New Normal: The Resurgence of Activist Investing Since the End of the Financial Crisis. London, UK: M&A Research Centre, Cass Business School, City, University of London. Overall direction and leadership of the M&A Research Centre (see http:cass.city.ac.uk/marc); teaching on the MSc, MBA and executive programmes in Mergers & Acquisitions, Corporate Finance and Corporate Entrepreneurship. Caspian Media Private Equity Awards. London, UK (2017). Panel Member. Mergermarket European M&A Awards. London, UK (2016). Panel Member. 14th German Corporate M&A Kongress. (Workshop) Munich, Germany (2016). Invited speaker. Paper: Attractive Targets – what do buyers look for? BP M&A Senior Leaders Meeting. (Workshop) London, UK (2016). Invited speaker. Institute of Directors. (Public lecture) London, UK (2016). Invited speaker. Willis Towers Watson. (Workshop) London, UK (2016). Invited speaker. Headland and Ardian. (Workshop) London, UK (2016). Invited speaker. Ernst & Young. (Workshop) London, UK (2016). Invited speaker. Ardian. (Workshop) London, UK (2016). Invited speaker. City Unrulyversity. (Public lecture) London, UK (2015). Invited speaker. 13th German Corporate M&A Kongress. (Workshop) Frankfurt, Germany (2015). Invited speaker. BP M&A Senior Leaders Meeting. (Workshop) Texas, USA (2015). Invited speaker. BP M&A Senior Leaders Meeting. (Workshop) London, UK (2015). Invited speaker. Paper: Mergers & Acquisitions for Start-Ups: When to date and when to marry? White & Case Partner’s Retreat. (Workshop) Germany (2015). Invited speaker. White & Case New Year Party for Japanese Bankers. (Public lecture) London, UK (2015). Invited speaker. Towers Watson Engagement Network. (Workshop) London (2015). Invited speaker. Towers Watson 2015 Autumn Reward Conference: Managing reward programmes in a fast-changing environment. (Conference) (2015). Invited speaker. Yale Club of London. (Seminar) London (2015). Invited speaker. Middle Eastern M&A Breakfast Briefing. (Seminar) Dubai (2015). Invited speaker. Real Deals Private Equity Awards. (Public lecture) London (2014). Invited speaker. Towers Watson M&A Forum. (Conference) London (2014). Invited speaker. KPMG Cass Family Business Society. (Conference) London (2014). Invited speaker. European Corporate M&A Forum. (Conference) London (2014). Invited speaker. BCVA Summit. (Conference) London (2014). Invited speaker. 12th German Corporate M&A Conference. (Conference) Munich, Germany (2014). Invited speaker. Real Deals Private Equity Awards. (Public lecture) London (2013). Invited speaker. EY European Corporate Development Leadership Network. (Workshop) London (2013). Invited speaker. 11th German Corporate M&A Conference. (Conference) Munich, Germany (2013). Invited speaker. Behavioural Finance Working Group/ M&A Research Centre Conference. (Conference) Cass Business School, London (2012). Organising Committee and Chair. Outlook for M&A in 2012. (Conference) Cass Business School, London (2012). Chair and Organising Committee. Real Deals Private Equity Awards. (Public lecture) London (2012). Invited speaker. The Economist Bellwether Series. (Workshop) London (2012). Invited speaker. Dubai Capital Club Lecture. (Workshop) Dubai, United Arab Emirates (2012). Invited speaker. Council on Mergers and Acquisitions Conference Board. (Conference) Brussels (2012). Invited speaker. The Outlook for M&A in 2011'. (Conference) Cass Business School, London (2011). Chair and Organising Committee. SimCorp Dimension International User Community Meeting 2011 Executive Masterclass. (Workshop) Stockholm, Sweden (2011). Invited speaker. QFinance Second Edition Reception. (Workshop) London, UK (2011). Invited speaker. HeadLand Plus One Breakfast. (Workshop) London, UK (2011). Invited speaker. Foundation Trust Network NHS Confederation Finance Directors Network. (Workshop) London, UK (2011). Ernst & Young Corporate Development Leadership Network. (Workshop) Amsterdam, The Netherlands (2011). Invited speaker. Editorial Intelligence Breakfast. (Workshop) London, UK (2011). Invited speaker. London School of Economics Students’ Union Finance Society. (Seminar) London, UK (2010). Invited speaker. Ernst & Young European Corporate Development Leadership Network. (Workshop) Paris, France (2010). Invited speaker. Association of MBAs MBA Refresher. (Workshop) London, UK (2010). Invited speaker. Royal Bank of Scotland Professionals Conference. (Conference) London, UK (2010). Invited speaker. European Financial Management Association 2010 Conference. (Conference) Århus, Denmark (2010). European Academy of Management 2010 Conference. (Conference) Rome, Italy (2010). M&A volume down: Pro. (2014) CNBC (television). Pick your M&A carefully: Some countries fight back. (2014) Yahoo! New Zealand (Business & Finance) (website). Scott Moeller - Dealmarking is recovering slowly - but it never really failed. (2012) Financial Times (newspaper). Intralinks research shows the number of leaked M&A deals falling dramatically as execution risks rise. (2012) Daily Markets .com (website). Deutschland ein Mart mit sehr gungsten M&A bedingungen. (2011) Terminae Finanzplatz. M&A Maturity Index: Asia Emerges M&A. (2011) Traderlink. Will M&A be a hit; or is it business as usual? (2011) www.finextra.com (website). (2011) private equity knowledge bank. Saudi Arabia ranked as 'transitional market in first of its kind M&A Maturity index. (2010) ameinfo.com (website). Research shows CEOs who perform a major deal in their first year are more successful long term. (2010) Al Bayan. Research shows CEOs who perform a major deal in the first year are more successful. (2010) www.uaetoday.com (website). Research shows CEOs who perform a major deal in their first year are more successful long term. (2010) Al Khaleej. Goldman faces regulatory probe in Britain, scrutiny from Germany. (2010) www.indiatimes.com (website). How to ward off redundancy in chaos of M&A. (2010) Times (newspaper). MT Expert's Ten Top Tips: Surviving M&A. (2010) www.managementtoday.co.uk (website). Amid chocolate spat, is UK souring on M&A? (2010) www.reuters.com (website). ""Buying cheap"" deoes not guarantee higher returns to shareholders. (2009) www.cnemag.com.cn (website). When it come to mergers, just look after No1. (2009) www.timesonline.co.uk. ""Brave"" post-Lehman M&A rewarded by market: study. (2009) www.sherwoodgazette.com (website). Mergers as kill or cure. (2009) www.ft.com (website). 'Brave' post- Lehman M&A rewarded by market study. (2009) New York Times (newspaper). Annals of Crap Research, M&A Leaks Edition. (2008) portfolio.com (website). Strategics engaging in M&A beat competitors. (2008) Guide to surviving in the wild M&A jungle (website). Guide to surviving in the wild M&A jungle. (2007) www.timesonline.co.uk (website). Lawyers are Queuing Up to Go Back to School. (2007) Daily Telegraph (newspaper). Giving diligence its due. (2007) Ft.com (website).